Just send us an email (maximilla02@msn.com) with your wish list and zip code (or shipping address). We'll package and weigh your order, calculate the cost and email you back with an itemized receipt. Voilà! $30 minimum (cost before shipping) for domestic orders. À la carte orders over $50 get a free surprise from Whimsy! Our signature wood ledges feature a backboard for safety and cleanliness. Made from chin-safe kiln dried pine. Comes complete with hardware for easy cage installation. These small ledges are perfect as "stepping stones" to move between larger ledges in a cage. These medium sized ledges work well to fill in the spaces between larger ledges. They make great perches for chins who serve the lookout post while the others nap. This medium-large ledge is great for chinchillas who like to nap alone. These extra long ledges have plenty of room for a group snuggle or to enjoy a midnight snack. These ledges are a fun addition to any cage and make interesting endcaps to the suspension bridge. Add a foodbowl or keep it open for the curious critters who like to explore. This ledge measures 8" deep x 16" wide (ample space for chins to perch on either side of the jumphole). Our ever-popular JumpHole ledge with a drop in stainless steel food bowl! Approximately 12x12" square, this corner platform is a perfect penthouse for sprawling sleepy chins. It also makes a handy step up between levels of your Ferret Nation or Critter Nation cage if you want to avoid the danger of the wire ramp entirely. OR, use it as a handy meeting place between two tubes for groups of chins who like to hang out together. This design is perfect for cages with weak, thin bars. The two sided support means less pressure when your chins bounce off regular ledges like they were diving boards. We're super excited to release the mini version (shown in picture on the LEFT) of our classic Loft Ledge (pictured on the RIGHT). These 8" squares are super sturdy and made to support cages with weak bars. They are excellent options for those with Critter Nation cages. Approximately 16"x12". Our signature wood ledges feature a backboard for safety and cleanliness. Made from kiln dried pine. A nice, sturdy addition to any cage. Corners cut for safety and fit. Comes complete with hardware for easy cage installation. A simple, rigid plank that spans the cage width. Premade to fit Ferret Nation/Critter Nation and Feisty Ferret brand cages. Excellent adjustable height, particularly for the "open" double stack cages. A perfect addition to use to attach your Swing with Bling for your more acrophobic chins. Natural wood perches are a great way to spice up your chinchilla's environment. Equipped with hardware to attach to the side of the cage, these prepared branches are big enough to balance on. 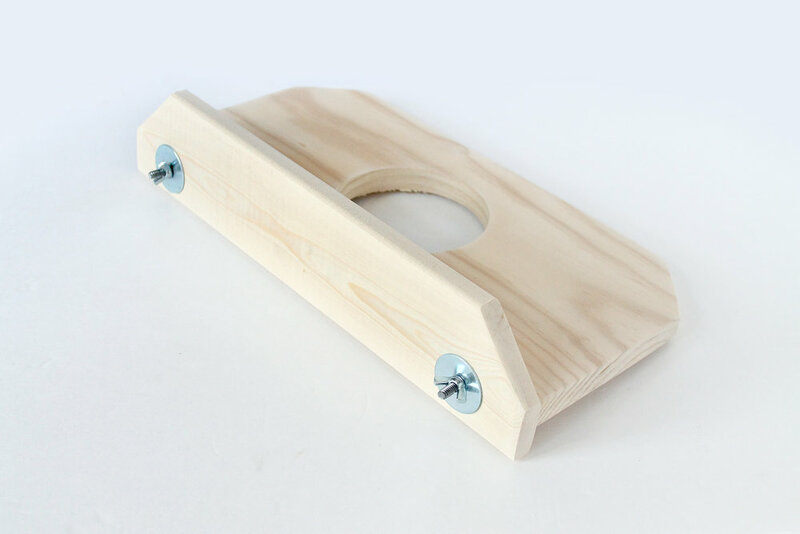 They also double as a fun chew toy for the little wood fiends, especially those who prefer their gnawing subjects to remain more stationary than a hanging toy. Photos show a representative sample. Made from any of the wood flavors we keep in stock. We use only chinchilla safe woods. No variety specification allowed on perches. We occasionally have Gloriously Oversized Perches available. These are BIG branch ends that are only suitable for super strong cage bars. Priced at $15 each. Designed with chew-proof, authentic, gemstone beads! (The same sort of stuff the stone chillers are made from.) We use jade, amethyst, lapis, agate, turquoise, adventurine, obsidian, chalcedony, etc. These are NOT glass, acrylic or wood beads! This thing is tons of fun... and shiny! 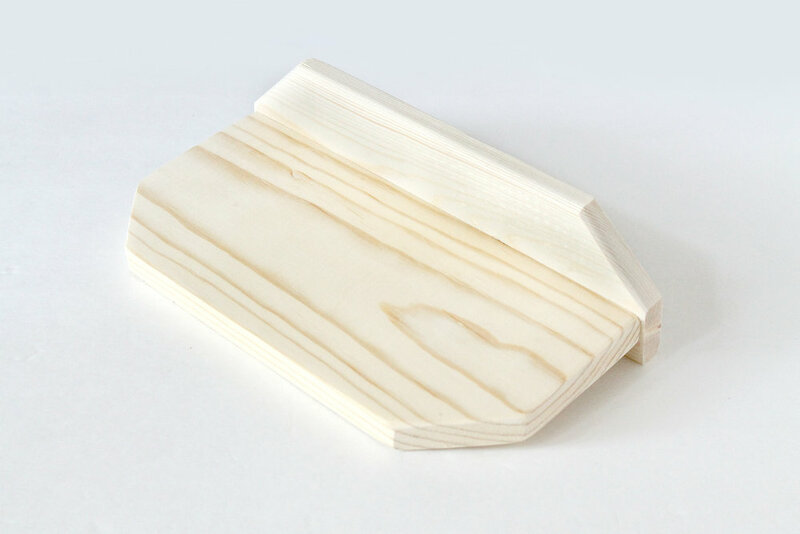 The 8" wide kiln dried pine slats have rounded edges for added safety. 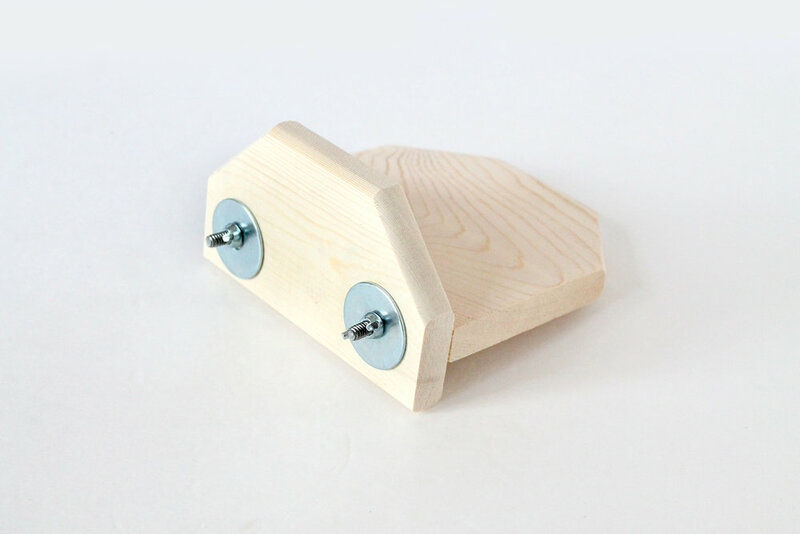 Our chew-proof spacer beads keep little toes from getting pinched. Comes with heavy duty lanyard hooks to attach directly to the side bars of your cage. We now make all our bridges custom to fit your cage. Please designate the span of your cage in inches, NOT the desired length. These are bridges, not ladders. They should be tight across and will gently sag with use. Bridges attach to your cage walls with heavy duty lanyard hooks. There should be a landing pad of sorts on both ends of your bridge using a ledge 12” or larger. Ledges sold separately. $1.50 per linear inch for the first 30". Flat rate of $45 each for bridges between 30"-36". bridges over 36" are an extra $1 per linear inch. 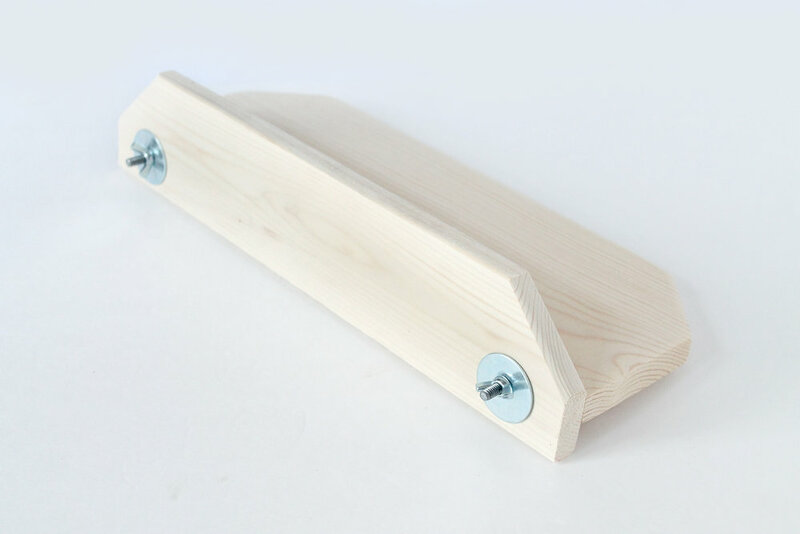 This chinchilla cradle provides environmental enrichment. 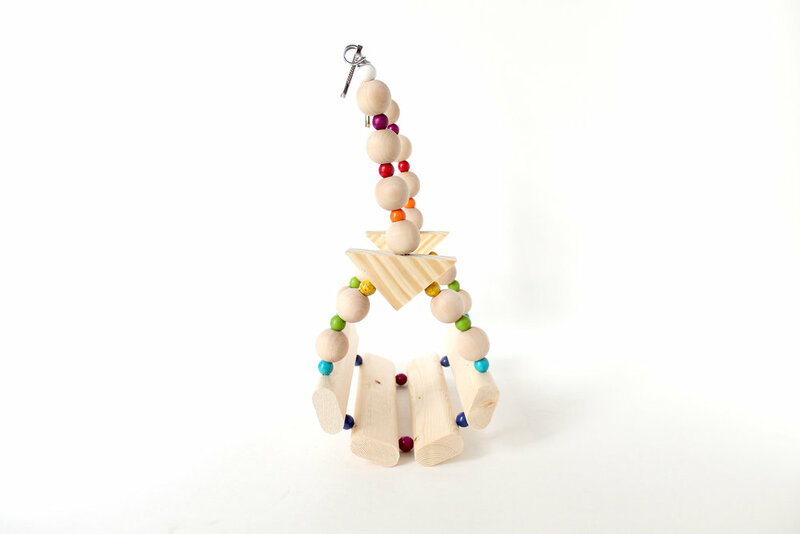 Made with kiln dried pine and poplar, and now enhanced with rock hard gemstone spacer beads. Some chins actually swing themselves by pushing off from the cage bars! Also makes a colorful and interesting hay rack. If your cage is taller than 24", you will need the catwalk with eye hooks to attach the swing at a safer, lower level. By popular demand! Our 4-piece cage bottom surround is created to make better use of those shallow Ferret Nation, Critter Nation and Feisty Ferret brand cage pans to help contain litter. Priced at one set per floor (pictured cages show one set each). An economical version of a hidey house. Flexible, bendable, but strong enough to support the weight of a chinchilla. Made of kiln dried pine with NO funky dyes. Large enough to accommodate a pair of snuggling chins, or one sprawling one. These are a comfy addition to any enclosure. Chins absolutely love snuggling in them. We make ours a generous 10 inch long, 6 inch diameter. We also sand away the outside edge so it's smooth and safe. Comes complete with hardware to install virtually anywhere inside a cage with bars. Some people make fleece covers in wild colors and patterns to discourage chins from chewing on their tube. Make sure you offer copious, healthy chewing alternatives. Who can resist this fun cage accessory? For those of you who just hate the idea of piling your chin's hay on the cage bottom floor, this colorful hay holder may be just the thing you need. The geometric poles swivel to make hay stuffing easy and adds just enough resistance to keep your chin busy. And it doubles as a safe chew toy! Comes with an extra large, heavy duty lanyard hook. After many requests we've finally managed to come up with a great deal on a starter ledge package. This is a perfect combo to outfit or modify a new cage or to revamp an old setup. And to distract your fur baby from chewing those nice new ledges, we've managed to fit some of our ever popular chew toys in the nooks and crannies. These cage shelves completely fill a flat rate box, so there's no room for substitutions or additions. An economical ledge package deal for your chinchilla cage makeover. See pictures for examples of how you can arrange this set. 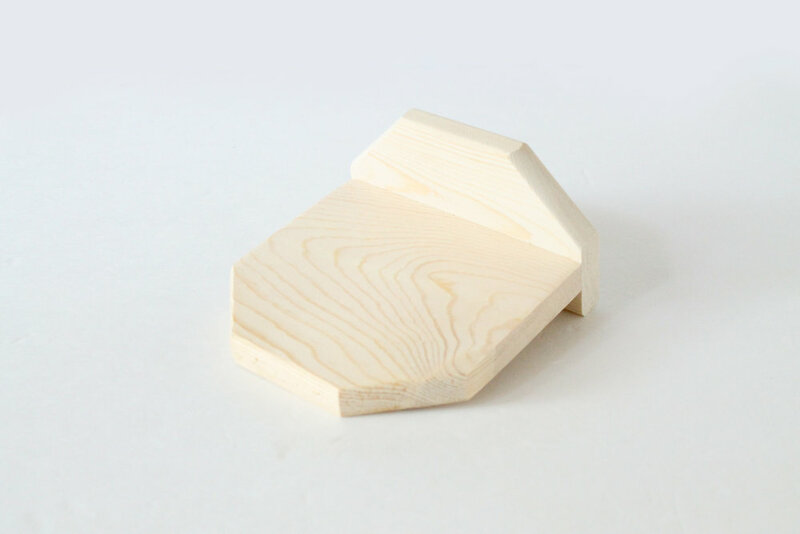 We're super excited to release the mini version of our classic Loft Ledges. 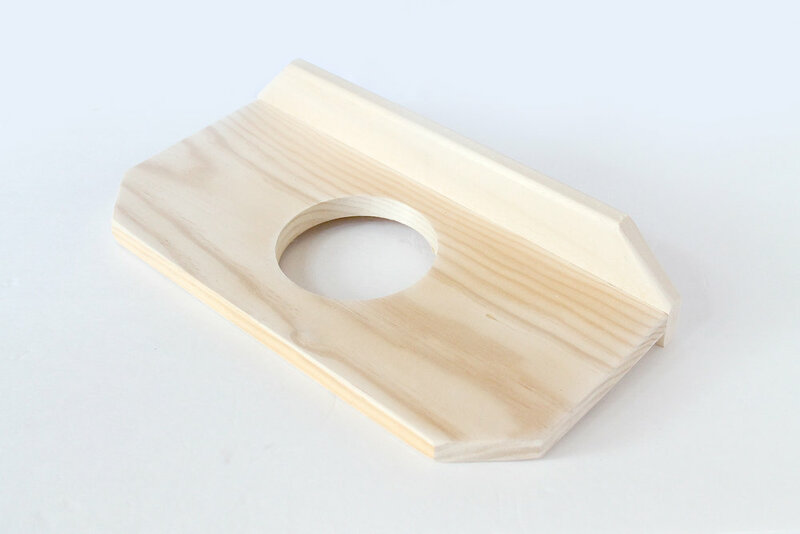 These 8" squares are super sturdy and made to support cages with weak bars. They are excellent options for those with Critter Nation cages. Combine this package with the Loft Ledge Twin Pack or the Budget Bundle to decorate a double stack cage. This collection features two "Little Loft Ledges" and two, 8" ledges and comes with a chew toy surprise. (Not shown). An economical option for those looking for sturdy cage accessories without breaking the bank on shipping. Two of our original size Loft Ledges fit snugly in a flat rate box. These ledges are approximately 12"x12" with our signature safety backboards and bolts on two sides, making them especially good for cages with weak, thin bars. They are great for multiple chinchillas who like to snuggle together. Place one near the cage floor and it becomes an open hidey house. Place one near the top of your cage for nice, wide lookout.